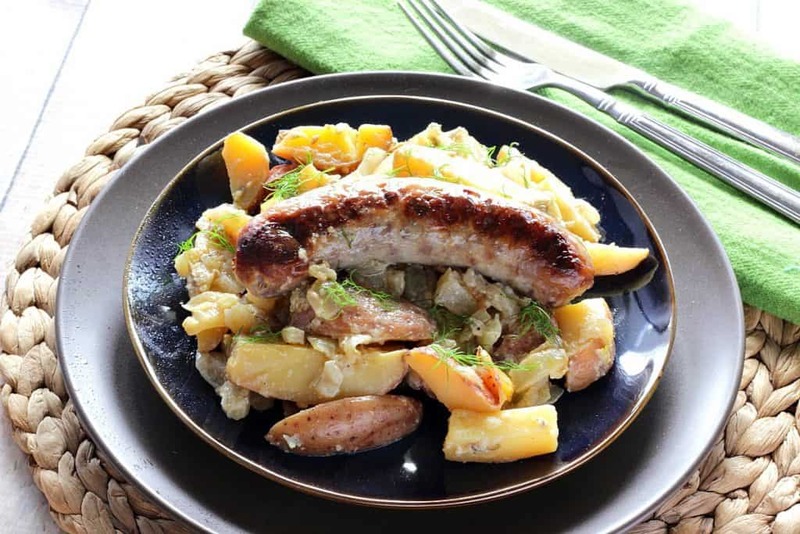 This One-Pan Italian Sausage, Fennel & Potato recipe is a simply delicious, no fuss dinner! You can cook it on the grill, or in the oven. Your call. Either way you decide to make it, you’re going to love the easy cleanup and the perfect combination of flavors! This recipe idea for cooking Italian sausage, fennel & potatoes together in one dish came to me in the grocery store as I was wandering around in the produce department looking for inspiration. Since I’d wanted to make something with fennel bulbs since last winter (but hadn’t), this time when I spotted fennel bulbs on a recent trip to Trader Joe’s, I immediately put them into my cart. From that point, the rest of the recipe idea followed rather effortlessly. I don’t know about you but I don’t cook with fennel as much as I should, and I’m not sure why it’s not more of a staple in our fridge, and on my grocery list. Because every time I do have it, I’m reminded just home much I love the light, licorice taste that mellows into a sweet, mild, almost buttery anise flavor after cooking. There really is nothing quite like it, and it’s the perfect accompaniment to the potatoes and Italian sausage in this dish! 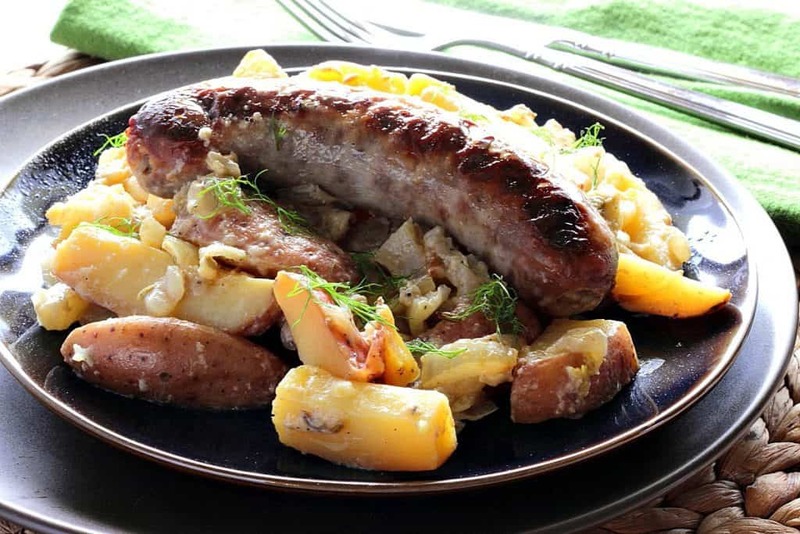 Click on the following video to see how quickly and easily this One-Pan Italian Sausage, Fennel & Potato Dinner comes together. The list of ingredients you’ll need to make this One-Pan Italian Sausage, Fennel and Potato Dinner is short and sweet. You’ll need One package of Italian sausage (5 or 6 per package), two fresh fennel bulbs, two sweet onions (such as Vidalia), two pounds of petite red potatoes, mayonnaise, Dijon mustard, milk, fennel seed, garlic powder, salt, and pepper. That’s it! As you can see from the photos and video, I used a disposable aluminum tray to cook this dinner so clean-up would be a breeze, and because I knew I was going to cook this outside on the grill. 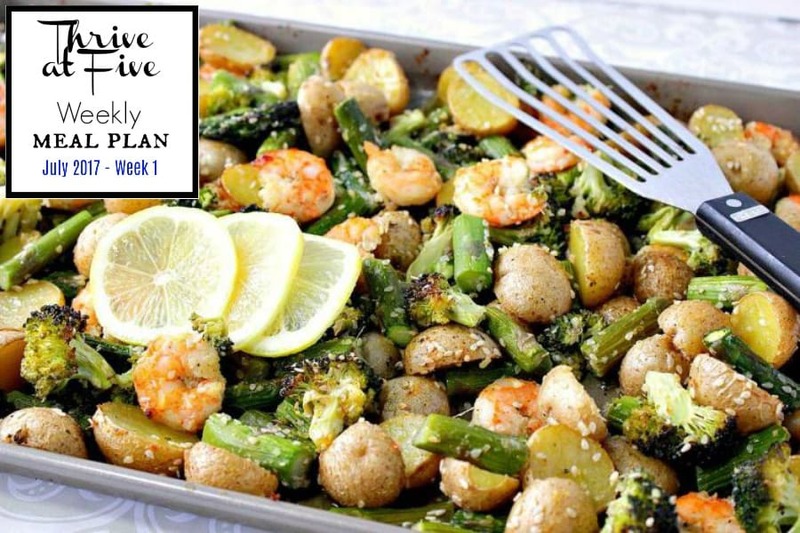 However, if you’re planning on cooking this inside the house in the oven, you may want to use a more attractive casserole dish (or not) depending on the amount of clean-up you want to do after dinner. 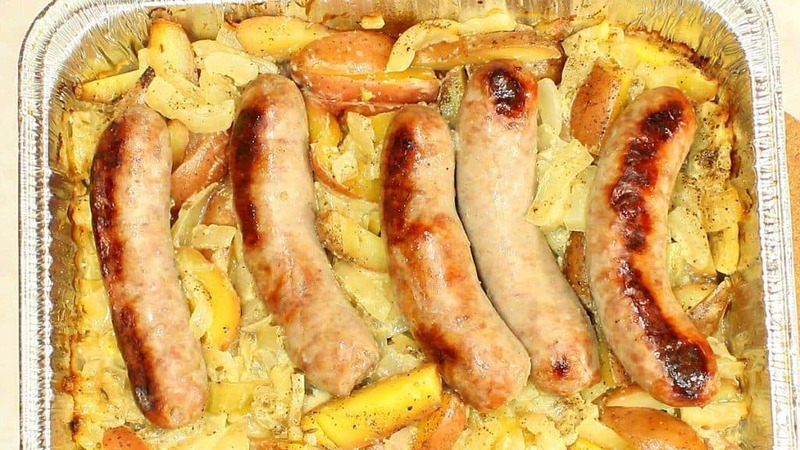 Ready to wow your family with a One-Pan Italian Sausage, Fennel & Potato Dinner? Great! Let’s get cooking! 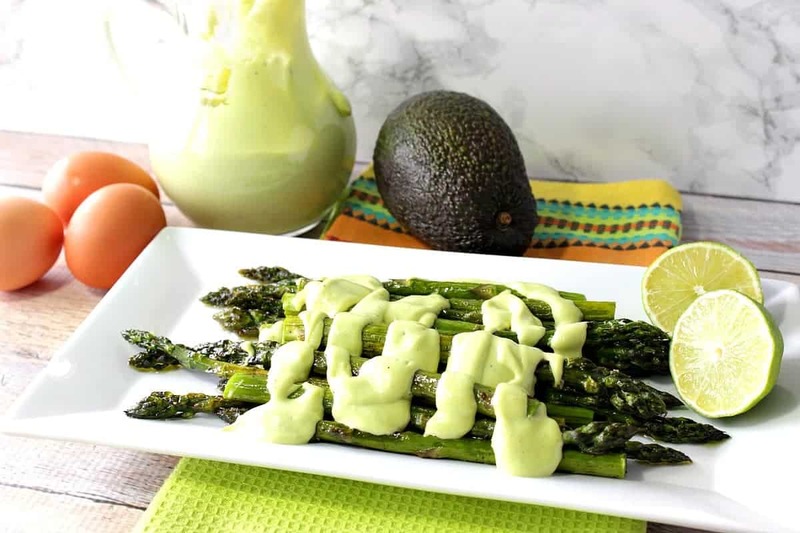 In a medium bowl, combine mayonnaise, Dijon mustard, garlic powder, fennel seed, and milk. Stir to combine. Set aside. Trim and slice the fennel bulb and chop the sweet onion. Place both ingredients in a large bowl. Pour the Dijon sauce over the fennel and onions. Add salt and pepper. Stir well to combine. Quarter the potatoes and add them to the bowl with the fennel and onion. Stir well to combine. Spray a 2 quart pan liberally with cooking spray. Pour the potatoes, onion, and fennel mixture into the prepared pan. Top the potato mixture with Italian sausage. Cover the pan with foil. Pierce a few holes in the foil and place the pan on the grates of a preheated grill (medium/high heat) and close the grill cover. Or place the pan in a preheated 375 degree oven for approximately 60 minutes, or until the potatoes are fork tender and the sausages are cooked through. YUMMY!!! Better grab your plate because it’s DINNERTIME!! If you’re like me and you get bored easily making and serving the same old meals, time after time, then this One-Pan Italian Sausage, Fennel & Potato Dinner is the perfect thing to serve your family and friends during your next backyard party or BBQ. 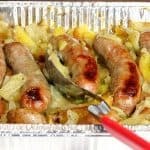 In addition, you can easily add more sausage to the top of the fennel and potatoes if you’re serving a crowd, which takes basically takes zero extra time, making this a crowd pleasing meal you’ll want to serve time and again, because I don’t think you’ll ever get bored of this flavorful dinner! 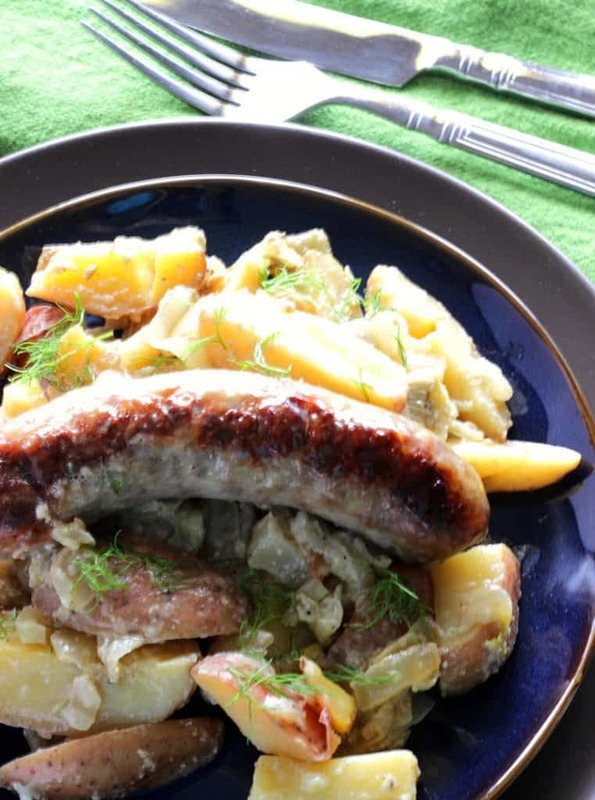 This One-Pan Italian Sausage, Fennel & Potato recipe is a simply delicious, no fuss dinner! You can cook it on the grill, or in the oven. Your call. Either way you decide to make it, you're going to love the easy cleanup and the perfect combination of flavors! Preheat an outdoor grill, or indoor oven to approximately 375-400 degrees. In a medium bowl, stir together the mayonnaise, Dijon mustard, milk, garlic powder, and fennel seed. Add the sliced fennel and onions to a large bowl. Pour the mustard sauce over the fennel and potatoes and stir well to combine. Add the sliced potatoes to the bowl along with the salt and pepper. Stir thoroughly. Spray the baking dish with the cooking spray. Pour the fennel, potato, and onion mixture into the dish and top with the Italian sausage. Cover the dish with aluminum foil and pierce a few holes in the cover for steam to release. Place the covered dish on the grill grates or in the oven. 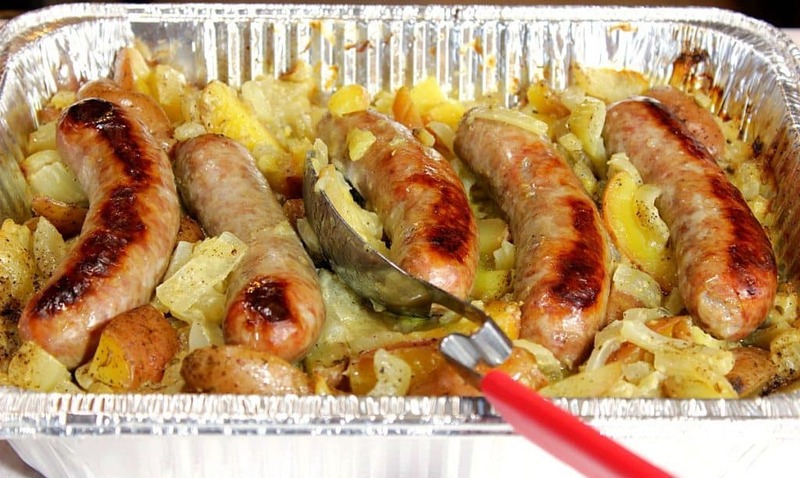 Cook for approximately 60 minutes, or until the potatoes are fork tender and the sausage is cooked through. 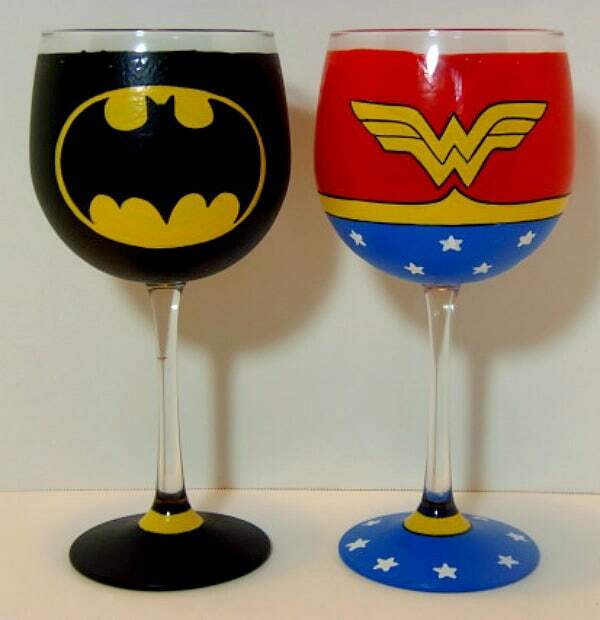 I’ve decided to coordinate this recipe post for One-Pan Italian Sausage, Fennel & Potato Dinner with my hand painted Batman & Wonder Woman wine glass set. Because, after all, a great team of super hero’s would definitely appreciate a delicious dinner idea that’s fit for a super hero (or two). Did you know that all of my hand painted glassware items come in their own gift boxes making them perfect for gift giving? All of my items are painted to order and unique. Each glassware item may be personalized (free of charge) if requested. All of my hand painted glassware items are dishwasher safe as well as being non-toxic. Custom orders are always available. If there is something I can paint for you (from glassware to fabrics), please don’t hesitate to contact me or visit my shop. For more information regarding Kudos Kitchen, please follow me on: FACEBOOK, PINTEREST, INSTAGRAM, TWITTER and YOUTUBE.